From Daniel Boone to Theodore Roosevelt, from Davy Crocket to Jim Zumbo, nothing is more American than traveling to explore and hunt in new territory. Given modern transportation and current game management, now is as good a time as any has ever been to experience the wilderness in new places. Even hunters in areas with plentiful game can benefit from a change of scenery and a change of game. 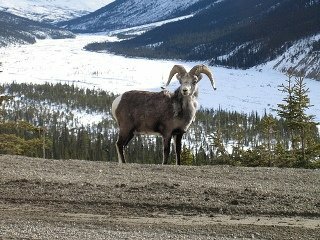 Eastern hunters may want to head west to hunt antelope or elk, and western hunters might want to try the infamous Saskatchewan whitetails or head to Alaska for a chance at bighorn sheep. Bird hunters often make pilgrimages to the flooded timber of Arkansas or the vast agricultural fields and potholes of Canada. Or if it suits your fancy the African Safari, once the province of the wealthy and privileged, has become more reasonable for many than a guided elk hunt. New Zealand also offers some amazing hunting for red deer and other exotics. The benefits of a road trip hunt are counterbalanced by the price and the logistics. Finding good hunting territory states or even nations away takes planning, networking or paying a local guide. In the best of worlds local friends or relatives can show you around. If you have the leisure time and inclination, pre season scouting trips can unravel new areas the traditional way. Don’t overlook the power of the internet. Most state fish and game departments have websites with some maps and lots of information. Mining through it can be tedious, however it’s there and readily accessible. Private internet forums and hunting sites can also be an amazing resource. Just don’t take everything you read online or everyone you interact with to be an apostle of pure truth and enlightenment. With a little common sense you can glean the good and reject the information that is self serving or just plain deceptive. There are a number of swap a hunt forums out there for the exploration as well. I have gone on several guided quality bird hunts on an exchange basis. Half of the fun of a road trip is the planning and anticipation, but don’t forget that the other half is embracing the unknown and dealing with whatever comes along. Mix in a healthy dose of hunting comradeship and misadventure, and some amazing success, and you’ll be planning your next trip on the drive home.